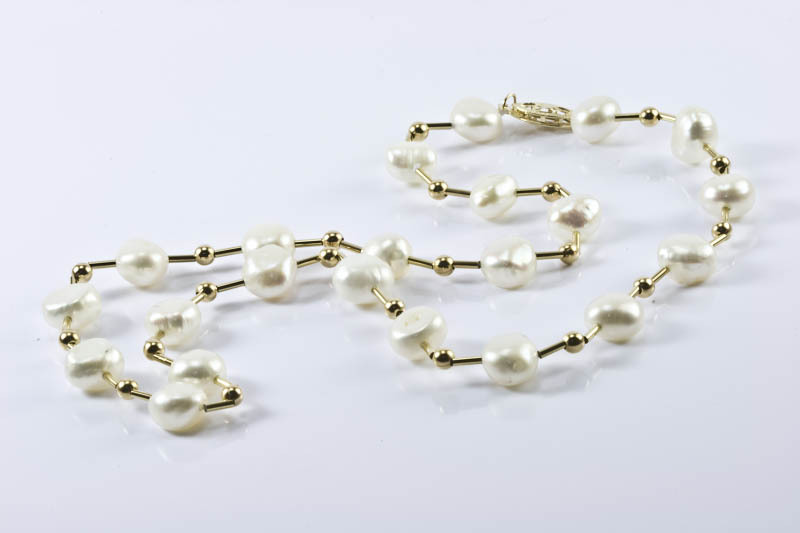 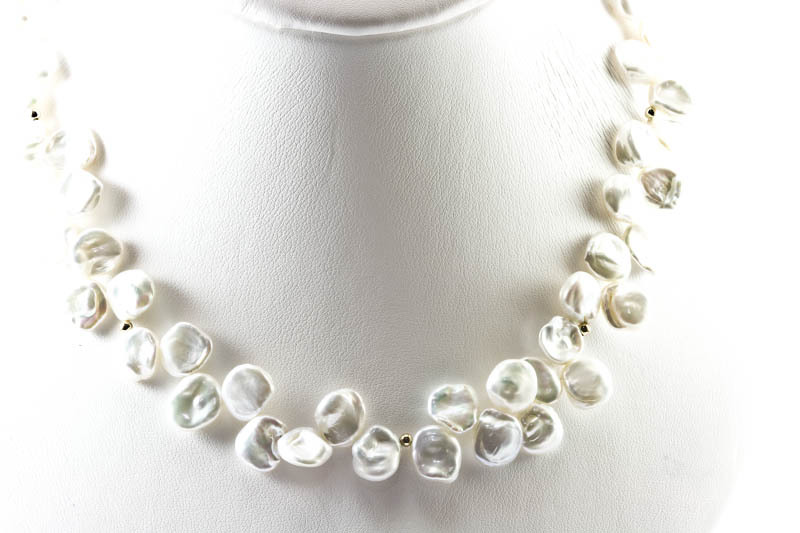 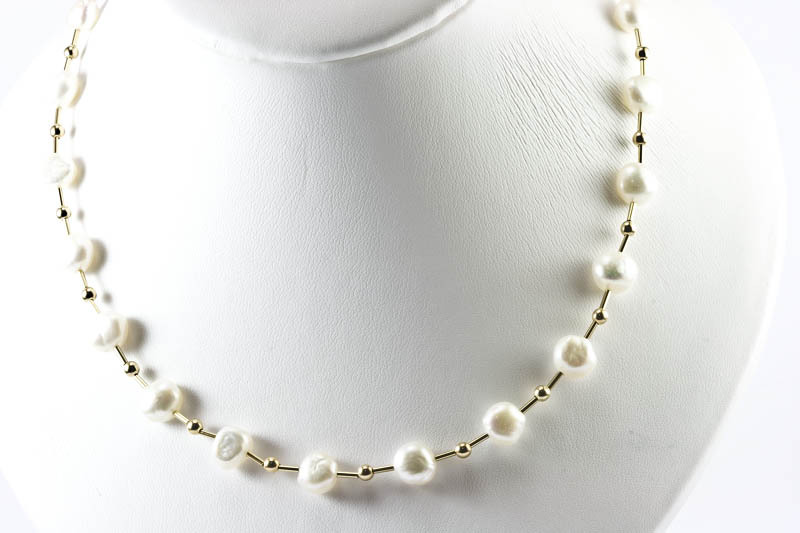 7mm Freshwater Pearl Necklace,(Station Style), 14 K. Gold Clasp,Tubes & Beads. 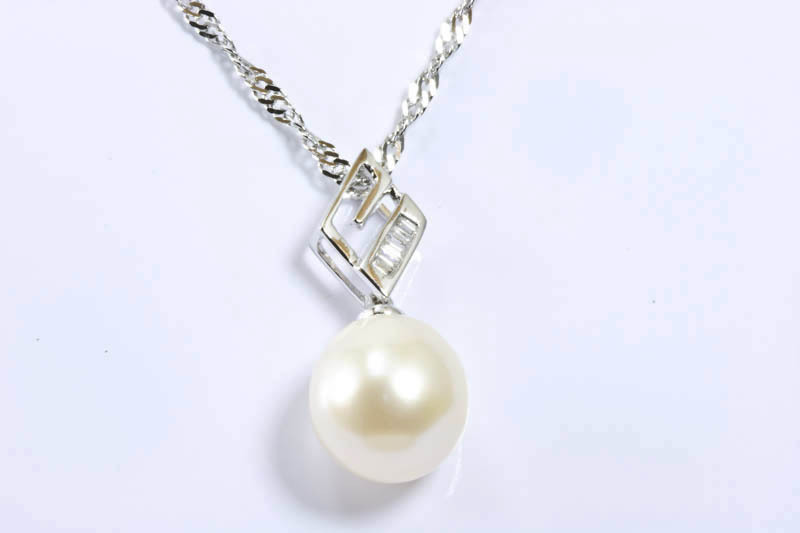 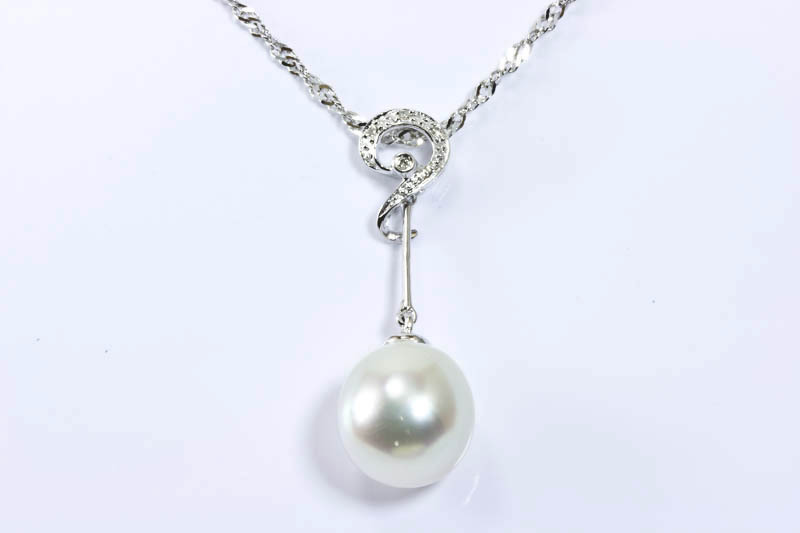 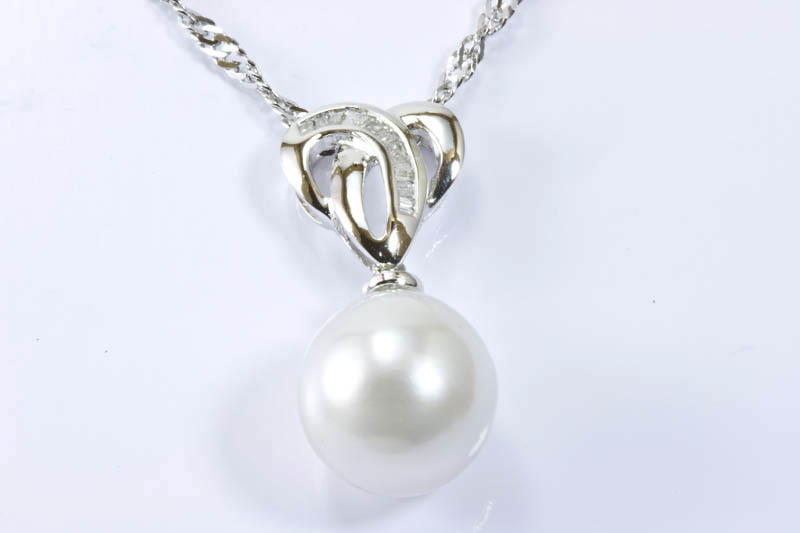 This pearl necklace is very charming and splendid looking. 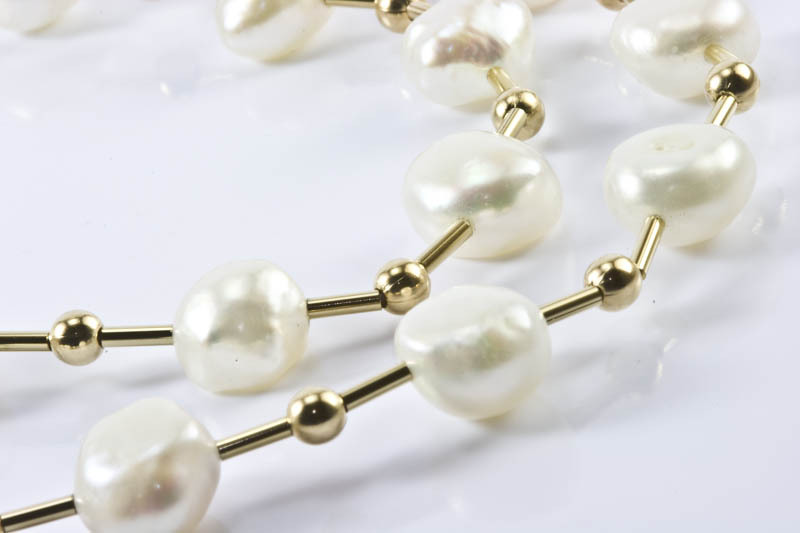 This exclusive “Station Style” is designed by our famous designer Jimmy Kor, and becomes as a hot sale item as soon as it displays in our showroom. 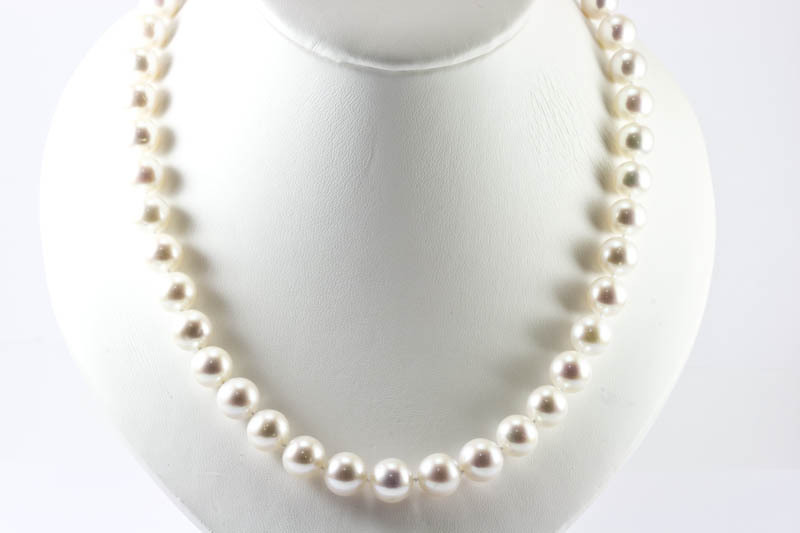 Each pearl is hand picked by our professional technicians, the pearls are 7mm pillow shaped white freshwater pearl, they are a very fine white color, with beautiful distinct pink and rainbow overtones, excellent luster and thick nacre. 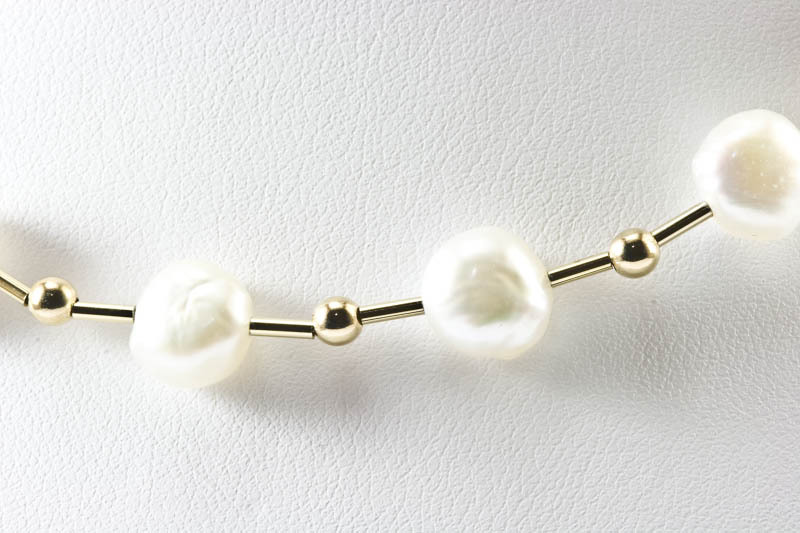 The clasp, tubes and beads are 14k gold.